Tagalog is a language spoken by twenty-two million people in the Philippines. Diwata is a Tagalog term meaning "muse." Diwata is also a term for a mythical being who resides in nature, and who human communities must acknowledge, respect, and appease in order to live harmoniously in this world. In her book Diwata, Barbara Jane Reyes frames her poems between the Book of Genesis creation story and the Tagalog creation myth, placing her work somewhere culturally between both traditions. Also setting the tone for her poems is the death and large shadow cast by her grandfather, a World War II veteran and Bataan Death March survivor, who has passed onto her the responsibility of remembering. Reyes' voice is grounded in her community's traditions and histories, despite war and geographical dislocation. A quick blade slicing water. A river demon, elders said. Inlaid nacre half moon eyes. Barbara Jane Reyes is author of two previous poetry collections including Poeta en San Francisco, which was awarded the 2005 James Laughlin Award from the Academy of American Poets. She was born in Manila and raised in the San Francisco Bay Area. She works as adjunct professor in Philippine studies at the University of San Francisco. "Diwata as a mythological invocation takes the reader back to pre-colonial Philippines when the belief in these god and goddesses shaped the everyday lives on the Southeast Asian archipelago. They have now become your muses as you reach toward this cultural legacy to shape a distinct postmodern poetics in which you don't simply erase colonial history- you build with that narrative as well." "We are offered Reyes' own version of oral history, the history of her split heritage, the story of survival, and myths of Reyes' own creation that add an additional emtional truth despite their deliberate inaccuracy. We leave this book both shellshocked and empowered, reborn and ribtorn." "These retellings of myths and folk tales become a modality through which ahistory is rendered into history, history itself is investigated, and variations of diwatas, their quarries, and their hunters are revealed as inhabiting multiple narrative, linguistic, and cultural sites." 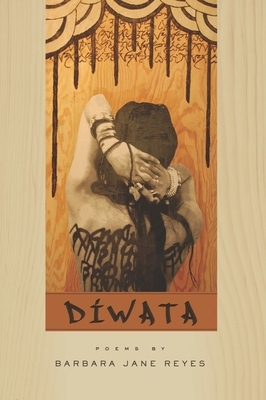 "Triumphant and plaintive, Diwata is a living document, offering both succor and claws." "Myth and story, telling and retelling, the claiming of an indigenous history and also a dislocation from that history form a thematic crux in this gorgeous text"